Our Committee Chair has a conflict that prevents his participation in our troop committee meeting on its traditional night. In his absence our Scoutmaster is running the meetings. Is this a good practice, or should someone else be running our committee meeting? My first suggestion would be for the committee chair to move the committee meetings to another day and time convenient to him, ideally one that works for the majority of the committee. The presence of the committee chair is really pivotal in the functioning of the committee, so he needs to be there or risk being left out of the loop. The Scoutmaster’s responsibilities are to the Scouts, particularly the youth leaders of the troop. He or she shouldn’t also be burdened with handling committee matters. In a small troop, this could work for a while, but the Scoutmaster really needs a functioning committee to support his mission without having to worry about the nuts and bolts. There’s a post here at Bobwhite Blather called “Which lane are you in?” that describes the dividing line between the Scoutmaster and assistants and the committee. I’d like to know your opinion on leadership accountability, specifically leadership training. Lots of units have leaders that have not attended Leader Specific Training, and yet BSA says that it’s not up to the commissioners to hold unit leadership accountable. How do you overcome this issue? You’re right that the commissioner staff isn’t the “Scouting police”, as some might think it is. Our role as Commissioners is to be a resource, to help when a unit needs it, and to quietly encourage and guide leaders, not to tell them what to do. The impetus to complete training has to come from the individual leader. The Boy Scouts of America can require certain training courses, as they do with Youth Protection Training for every registered adult, and with certain specific courses like Beginning Adult Leader Outdoor Orientation (BALOO) for Cub Scout packs holding family campouts. And certainly the chartered organization is within its rights to require its leaders to be trained. Beyond the required courses, though, a leader has to realize that he or she will benefit from training and that it will help them do a better job for the Scouts that they are serving. When filling positions, the committee chair can select individuals who have the attitude that training is an important step in fulfilling their roles. There can also be peer pressure in that when leaders are getting trained, the spotlight falls on those who haven’t done training. You can also find out the leader’s reasons for choosing not to be trained, and respond to those reasons. For example, if they don’t know what is involved or how to go about it, gather the information on when and where courses are offered, or how to access online training, and how long they can expect it to take. If they don’t have time to sit through multiple segments, they can do it piecemeal. If they can’t get to training, organize a ride share, or ask the district training team if they can do a course in your area. The cost of training shouldn’t be an issue; units should budget for leader training as a program expense. Lack of trained adults can also hurt the unit when it comes to the annual Journey to Excellence evaluation. 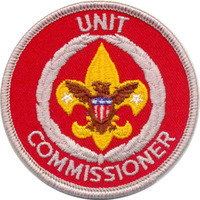 An untrained leader can be the difference between all the Scouts wearing the Bronze JTE award patch (or no patch at all) and wearing the Gold level award. Perhaps one of the most powerful incentives is that the parents of the Scouts are expecting the leader to know what they are doing, and training says that they at least are familiar with their role and have had some guidance in how to do it. They would expect that their child’s soccer coach knows enough about the game of soccer to be able to teach it, and that the referees are trained in the rules. 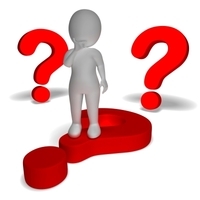 Ask the adult if he’d be comfortable if his son’s coach, teacher, clergy or Scout leader was untrained. When other leaders complete training, make a big deal about it in front of the entire unit. Present them with a training certificate in front of all the Scouts and parents. That can help a reluctant leader feel that there is value and personal pride in having completed training. Do you have an issue in your unit that you’d like some help with? Get in touch using the Contact page and I’ll do my best to answer. I am the Committee Chair for a large Cub Scout pack in California. I found your blog last year when I took on the role and have found much helpful information here. Thank you for your efforts to inform and inspire our fellow Scouters.